New studies of electronic voting machines in Ohio has led a top official there to call for a ban on the machines. The Ohio Secretary of State noted "critical security failures" on the machines that made it easy to tamper with vote counts. There are many articles and commentary on the recent announcement by the Governor of Ohio to create a statewide broadband network. But it is not clear what the impact might actually be. If you read the Executive Order closely, what you see is that Ohio, in many ways, is just starting to catch up to other states. Most of the statewide initiative simply requires Ohio state agencies to start buying off the statewide network, instead of making their own deals. States like Iowa and Virginia did this many years ago. 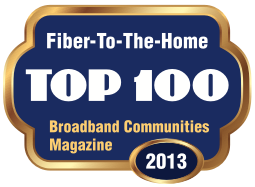 It also creates a Broadband Council, which other states, like Virginia, have also announced. But statewide task forces rarely have the opportunity or the authority to actually get things done. These groups can make use of the bully pulpit to raise awareness of a problem, but even then, the groups often become captured by political realities. Because so many states have had operational statewide networks, we have had the opportunity to learn something about them. What typically happens is that the networks have a substantial initial impact by lowering the cost of broadband for schools and state agencies, especially in rural parts of a state that might be otherwise underserved. But small and medium-sized (that is to say, innovative) broadband providers rarely get these big contracts. Inevitably, the big incumbent providers get the contracts. Once in place, the rates tend to decline only slowly, and so after the first big price reduction, prices tend to stagnate. But here is the worst problem. From a community perspective, statewide networks are a disaster. Schools, libraries, and state agencies are the anchor tenants of a communitywide or regional open network. Without those government customers paying into the community network, it becomes much more difficult to make a business case for such a project. So schools and state agencies in a rural region get lower rates, but the rest of the community, including businesses, seldom see any benefit, and in fact, are often worse off. Statewide networks can cripple economic development prospects. There is some language in the Ohio Executive Order about allowing non-government connections, but when state agencies and universities are calling most of the shots for a statewide network, business interests usually don't get appropriate attention. And in fact, over time, rates on the statewide network may be higher than what businesses can do in the private market. We don't really want government bureaucrats negotiating rates and services for businesses, and that is way statewide networks are usually run. What is the alternative? Get local and regional initiatives started that use the "digital roads" approach, where government's role is limited to building a high performance digital road system, and let customers buy directly from private sector providers, instead of putting state level bureaucrats in charge of prices. States have an important role to play, but as I have said for many years, states should be building inter-community digital roads to connect local and regional efforts, using the same open access, open services model. Focus on the core competencies and strengths of the state. Encourage collaboration among state agencies, industry, and university researchers to help create innovative new products and services. Ohio intends to compete fully in the global economy, and nothing less is acceptable. Translate research into products; Ohio wants to help university researchers translate research results into commercial successes. Entrepreneurs are creating the new jobs, and it is the job of economic developers to nurture entrepreneurs. Provide capital for early stage ventures. Invest in workforce development so that Ohio has workers with the advanced skills needed to find and keep good paying Knowledge Economy jobs. What is most interesting about Valente's remarks is what went unsaid. There was nothing about industrial recruitment or giving lavish tax breaks to big companies. Ohio is probably still doing some of those things, but the emphasis on entrepreneurs and support for innovation is refreshing. The state is also headed in the right direction by identifying assets and competencies already in the state and trying to leverage those, rather than just imitating what has worked elsewhere or just trying a lot of stuff and hoping something sticks. As examples of this strategy, Valente mentioned a focus on fuel cells as an alternate power source. The state is funding research to use biomass as a feedstock for fuel cells, leveraging the state's agricultural industry. It is also funding the development of new polymers (plastics) from soybeans rather than fossil fuels, because the state is a big soybean producer. If Ohio sticks to this plan, it will have an advantage over many other states that don't have the same level of focus. I thought only one thing was missing--a statement of intent to ensure that every business in the state has affordable broadband. If Ohio is serious about competing in the global economy, you can't leave this to chance. ISUS (Improved Solutions for Urban Strategies) has an innovative alternative high school education program that helps high risk youths get a high school diploma while giving them a heavy dose of on the job construction training and high tech manufacturing skills. The program provides proficiency-based high school classes that are integrated with work training in the construction industry. But the effort has a real high tech twist, and takes vo-tech to a whole new level by building and selling houses at market prices in distressed neighborhoods. The program has a CAD-CAM manufacturing facility where students used computer design systms to design the homes, and these are very sophisticated homes, mirroring the traditional styles used in the nieghborhoods in the early part of the twentieth century--in other words, real style. Instead of the traditional industry approach of building on site, many of the walls and floors are built in the high tech manufacturing plant using computer controlled panel assembly equipment. Students learn to build using state of the art computer and manufacturing systems, then take the parts right to the work site and put the house together. At risk youth are getting marketable job skills, graduating from high school, and in the neighborhood where the houses are being built, the new homes are raising property values and have encouraged others in the neighborhood to rehab and fix up other homes--a win-win-win for the kids, the homeowners, and the community. I am at the Ohio Community Development, Innovation, & Technology Conference in Columbus, Ohio, and I'll be posting highlights from the meeting for the next day or so. The conference is sponsored by the Ohio Community Development Corporation Association. Ohio, which has faced some real challenges over the past several decades as manufacturing has declined, is doing a lot of things surprising well. Lt. Governor Bruce Johnson described the state's "Third Frontier" initiative, which is well-focused, and state leaders have wisely tried to first identify strengths in the state first, and then have followed up with strategic investments to leverage existing assets. That may seem obvious, but I see a lot of economic development strategies that don't really do those things. Among the Third Frontier strategies are to look for new markets for traditional agricultural products like soybeans. Researchers in the state are looking at producing new kinds of polymers from soybeans (the state is a big producer of soybeans). The state is also not just throwing money at projects. It insists on real, cash on the table collaboration before it will provide funds for new ventures, and says that it is getting a 13:1 match from the private sector on joint ventures--a pretty good track record. The state extends this collaborative approach to university research, insisting that if universities think they can build a better mousetrap and want money from the state, then the university has to put some of its own money on the table. All in all, good sensible stuff from Ohio. The City of Cleveland is addressing the issue of digital literacy. The program will offer training and certification to 30,000 low income workers over the next five years. This is an important program; so many areas of the country bemoan the loss of manufacturing jobs and the lack of opportunity for unemployed workers but fail to adjust economic development spending and job training programs to the realities of the global Knowledge Economy. Although I applaud Cleveland for diving in, I would prefer to see some changes in their approach. The first is the term "digital literacy" itself. It's a lousy phrase that does not mean anything--are we saying we should be literate about digits? The word "literate" traditionally refers to reading and writing skills, so why are we trying to redefine it to mean something else--and what is that something? I prefer the phrase "technological competency," which means we are able to use technology skillfully to perform every day tasks. Cleveland has partnered with two private sector companies, which is fine, except that the city is using these firms' definitions and certification. I'd like to see Cleveland work collaboratively with some other interested regions/towns/cities to develop an open source definition of technological competency, and partner with some nonprofit educational institutions to develop an open source certification process. The training and certification can still be performed by private sector firms, but now the common good is driving the process, rather than profit motive (note that I'm a businessman and so am not opposed to profits--it's just that I also believe communities, if they are spending tax dollars, need to do so in a way that accrues the most good to the most people). Hopefully, the Cleveland effort will inspire other regions and communities to develop similar programs.